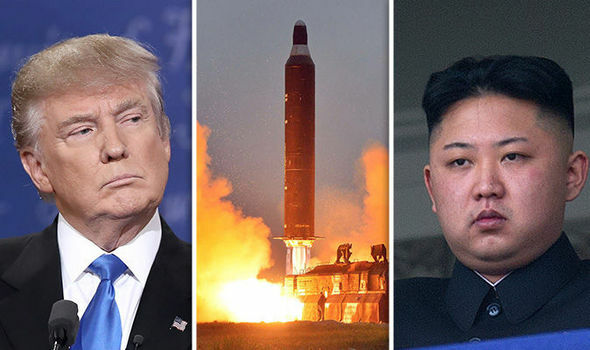 The specter of war between North and South Korea has dominated headlines, particularly as President Donald Trump increasingly matches the bellicose posturing of North Korean leader Kim Jong Un word-for-word (and tweet-for-tweet). Under the best of circumstances, the precarious relationship between North and South Korea requires precise and thoughtful diplomatic handling; that is no more true now that North Korea approaches the threshold of achieving nuclear weapons. A better president might develop a program to halt North Korea’s nuclear advancement with a measured balance of diplomacy and international sanction. A better president would understand the devastatingly high price of war, and would seek to avoid that at all costs. But, America elected Donald Trump, a self-aggrandizing buffoon who sees the rising tensions on the Korean peninsula as just another opportunity to provoke Kim Jong Un with belittling — and highly racially emasculating — language.